Anti-wrinkle injections are currently the most common medical cosmetic treatment. There have been 17 million injections that have been safely administered for cosmetic purposes alone since 2002. It is currently approved for treatment of glabella wrinkles, which are the frown lines between the eyebrows. Any other treatments are considered “oﬀ-label” (a common and legal practice in which a drug is used for a purpose other than the oﬃcially approved one). Clostridium Botulinum (the bacteria that causes food poisoning) was ﬁrst identiﬁed at the University of Gent, Belgium, in 1895. Anti-wrinkle injections consist of Botulinum toxin type A, which was isolated in the puriﬁed form by Dr. Herman Sommer at the University of California in the 1920s. Botulinum toxin type A stops the release of certain chemicals at the junction between a nerve and a muscle, so the message for the muscle to ”work” is blocked and therefore relaxes. Its anti-wrinkle properties were discovered in the 1980s by Dr. Jean Carruthers (an ophthalmologist) and her husband Arthur (a dermatologist) when patients being treated for crossed eyes and facial spasms told their doctors that their lines and wrinkles had vanished since starting the injections. Anti-wrinkle injections are approved in more than 75 countries for 20 diﬀerent neurological indications and approved for cosmetic use in more than 40 countries. In the 20-year history of using the drug for cosmetic treatments, there is no anecdotal evidence of any long-term problems because any muscle weakness from the injections is reversible because Botulinum toxin type A ’s action is temporary. Botulinum toxin type A has been used in other conditions such as migraines, excessive sweating, incontinence, hemorrhoids and has even been used on patients with gallstones. The cosmetic formula on uses a much lower dose of the toxin than the one used to treat major muscle spasms. Anti-wrinkle injections are not a panacea for every facial wrinkle. Those caused by other mechanisms such as hereditary, smoking, sun exposure, and the eﬀects of gravity, do not respond adequately. Nor are anti-wrinkle injections particularly eﬀective for wrinkles around the mouth. Other treatments (such as Retin-A, chemical peels, collagen or fat injections, laser therapy, or facelifts) may help for people who wish to minimize these types of wrinkles. A U.S. consumer advocacy group called Public Citizen has recently asked the Food and Drug Administration (FDA) to reconsider the safety of anti-wrinkle treatments. However, my main issue with them is that they have grouped together adverse events from both the medical and cosmetic uses of the drug. They pointed to 180 cases of serious complications like pneumonia and diﬃculty breathing or swallowing, which included 16 deaths (collected from 9 full years of data). Earlier in 2005, The Centers for Disease Control and Prevention reviewed 1,437 adverse reports: 406 after medical use of the toxin (217 of them were serious eﬀects) and 1,031 after cosmetic use (36 of them serious). The proportion of serious reports was 33-fold higher for patients treated for medical problems than for those receiving cosmetic treatments and the worst disasters have occurred when unqualiﬁed practitioners administered the drug. The FDA has also conﬁrmed that there has never been a reported death where a causal link to the cosmetic use of anti-wrinkle injection was established. Don’t forget that many cancer medications are derived from substances that in other contexts would be considered dangerous. And many other drugs that are licensed for a particular condition are used “oﬀ label” to treat other problems. Remember, all drugs have unwanted side-eﬀects, so that with more people using anti-wrinkle injections, the list of unwanted eﬀects may be growing. 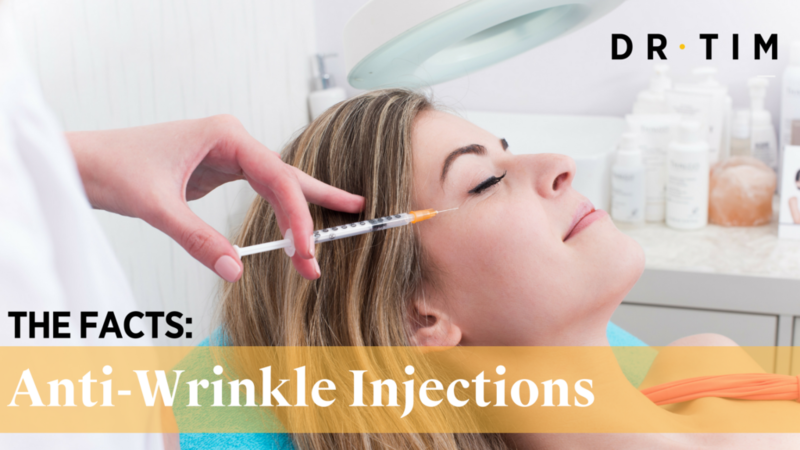 Earlier this year, the Food and Drug Administration (FDA) which reviews the continuing safety of anti-wrinkle injections, notiﬁed the public about reports of their serious side-eﬀects. Most of these, however, resulted from medical, not cosmetic uses of the toxin. Medical treatments typically require much larger doses, and many of the patients have other health problems that increase their risk. For e.g. to treat the furrows between the brows, a typical dose consists of 20-35 i.u.’s (intramuscular units) compared to over 200 for neuromuscular disorders. The reactions included respiratory failure (which sometimes was fatal) in a range of doses and use, many of them “oﬀ-label” e.g. limb spasticity associated with cerebral palsy in children. Choose your doctor or nurse injector carefully. They should be both experienced and competent and make you feel safe and at ease. Injectables should be performed in an approved medical oﬃce or medical spa. Ques on the authenticity of the injectable. Ask to be shown the brand packaging. Pay close attention to the potential complications which should be thoroughly discussed during the informed consent process.